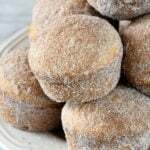 Pecan Sandies Cookies Recipe – These cookies go by many names, Mexican Wedding Cookies, Snow Cookies, and so many more. No matter what you call them, they are always scrumptious! 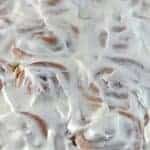 Growing up, my mother would make cookies that my father called pecan sandies. 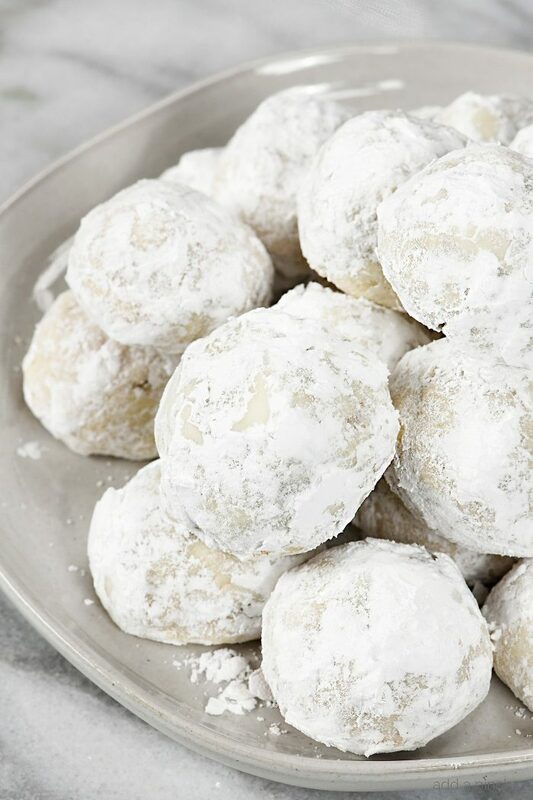 They were delicate, delicious little bites of crumbly, buttery cookie encased in a dusting of powdery confectioners sugar. 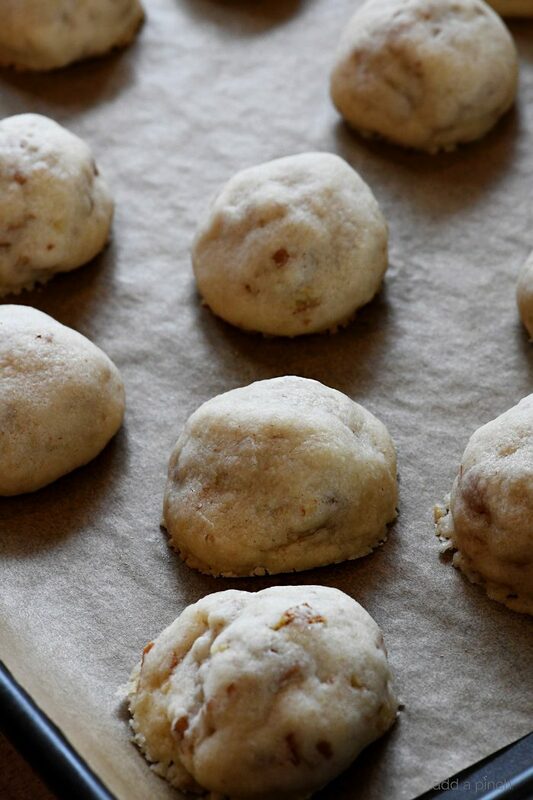 Mother would make her pecan sandies for family showers or brunches and especially at Christmas. I’m sure you’ve had this traditional cookie before yourself. They go by many different names from wedding cookies to tea cookies and everything in between. When Sam was about three years old, I made them for Christmas. Not sure that he wanted to taste one, he asked, “what did you put in those snow cookies?” His name for them has stuck around our house! To make these cookies, begin by preheating your oven and preparing your baking sheets by lining them with parchment paper. Then, using an electric mixer, cream together your softened butter and confectioner’s sugar, add in the flour and vanilla extract and mix until well combined. Then, slowly stir in your pecans. Scoop the cookie dough by the tablespoon and then roll between your palms to form a ball. Place the cookie dough ball onto the prepared baking sheet, leaving about 2-inches between each cookie, and then repeat until the baking sheet is filled. Bake the cookies until golden brown, about 12 minutes. Remove from the oven and allow to cool before rolling in confectioner’s sugar. The cookie will absorb some of the confectioner’s sugar as they rest. 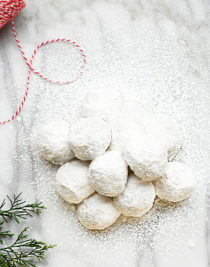 To freeze the baked cookies, roll the cookies in the powdered sugar for the first rolling, cool the cookies completely and then freeze on the baking sheet. When the cookies have frozen solid, about 30 minutes. Store the cookies in an airtight, freezer-safe container for up to 3 months. When ready to serve, allow the cookies to reach room temperature and then roll the cookies or dust them with an additional coating of confectioner’s sugar. As crazy as it sounds for a recipe called Pecan Sandies, we also love these cookies with the nuts omitted. It is especially important if you want to make sure that you are serving a nut-free cookie if there are any allergies or nut sensitivities. 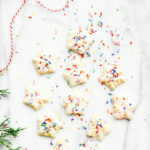 Funfetti Cookies – to make a funfetti type cookie, simply stir in colored sprinkles as your would the pecan in your cookie dough. Chocolate Filled Cookies – to make chocolate filled, encase a piece of chocolate (such as a Hershey’s Kiss or a Dove promise) in the center of the cookie dough. You’ll want to chill the cookie dough before baking to ensure that the chocolate doesn’t become overly melted. 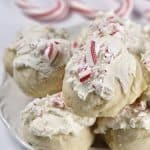 Peppermint – to make a peppermint cookie, stir in crushed peppermint pieces into the cookie dough. 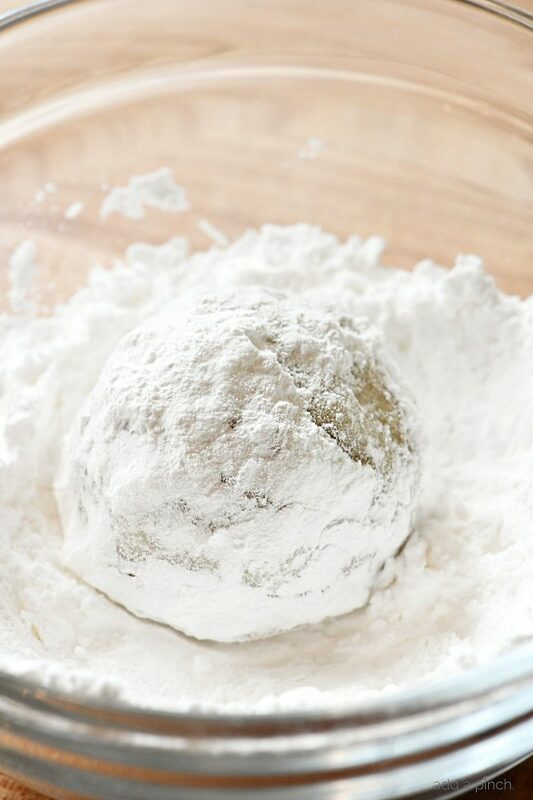 Here’s my Pecan Sandies Cookies Recipe, aka Mexican Wedding Cookies, aka Snow Cookies, aka whatever you want to call them cookies recipe! 🙂 I hope you love them as much as we do! 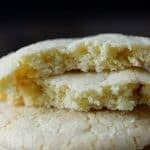 Pecan Sandies Cookies Recipe - These cookies go by many names, Mexican Wedding Cookies, Snow Cookies, and so many more. No matter what you call them, they are always scrumptious! Cream together butter and sugar with electric mixer. Add in the flour and vanilla extract and mix until well combined. Slowly stir in the pecans. Scoop a teaspoon of the cookie dough and roll between your palms to form a ball. Place the ball of cookie dough onto the prepared baking sheet. Bake until lightly golden, about 12 minutes. Remove from oven and allow to cool to the touch. 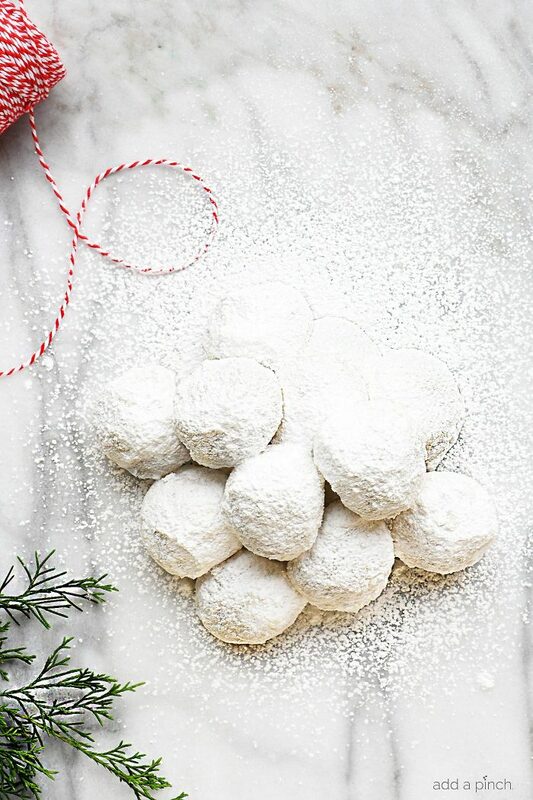 Roll in confectioner's sugar. When ready to serve and once the cookies have completely cooled, roll or dust them with a bit of additional confectioner's sugar, if you prefer. No matter what name you use to refer to these heavenly pieces of confection, they are a must make cookie. Quick, easy, and definitely delicious. These are so pretty! Perfect for the holiday season! They almost look too cute to eat! But they look very delicious! These are an old family favorite, but I like the new name too. Might have to make a batch to go with that hot chocolate. I just made these again except I doubled the recipe and left out the pecans. After I made the dough I split them into three bowls and added pecans and bourbon to one, almonds and almond extract and orange zest to the second and the third I put mini chic chips and cinnamon. They are all so amazingly delicious! I packaged some up for the dinner I’m going to tomorrow plus some for someone who did me a favor and then of course some for me 🙂 thanks Robyn for bringing these simple yet brilliant cookies into my life. I keep thinking up new combinations I’m going to try: lemon poppy, ginger sesame seed, cocoa powder and espresso, orange and craisins, almond and amaretto, coconut with lime and ginger….the possibilities are endless! I think even just leaving them plain or adding a little vanilla bean for extra flavor and some pretty flecks of vanilla bean would be awesome. I do not even hand roll them, I use a cookie scoop and I don’t use any sugar at the end. I’m super lazy. They are truly beautiful and delicious. For anyone who hasn’t tried them, this recipe is a winner! These were my special treat that my grandmother always made just for me and they hold such a special place for me and my children. I have made these for years but recently lost my grandmothers recipe so thank you so much for posting this! I can’t impress upon anyone make sure that you completely cool these – I always wait at least a day before putting them in the powdered sugar. We always called them snowballs. They were my grandma’s fav. My mother loves them so do my sons and I. Yum! I’d better get baking it’s almost December ! Thanks for sharing! This is like a recipe I have for Pecan Sandies, but to make them even crunchier (like crumbly sand) we used half conf. sugar and half large-grain white or light brown sugar, larger crystals than plain granulated sugar. The slightly darker sugar made them taste even a little more ‘sinful’! We also added/substituted about 1/4 of the flour for cornstarch. With all the butter in the recipe, rolling the cookies twice in powdered sugar is necessary, but yummy. My recipe is slightly different as I add two tbs water and cook at a lower temp. My mother always said if you add chocolate chips to the recipe then the cookies were Mexican Wedding Cookies. These have been a go to cookie recipe for all occasions. While I’ve played around with different flavorings we also like the classic pecan sandies version best. This was a super easy recipe. 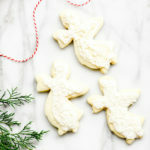 I thought the dough was a little wet when I put it in the oven, but they came out as delicious light cookies, soft, crumbly and very easy to eat! Glad you enjoyed them, Richard! One of my favorite cookies! Thanks! Would I be able to substitute margarine for the butter? Or.. 1/2 cup of butter & 1/2 cup of margarine? Would this make a difference in these Pecan Sandies? No, I would not advise using margarine. It will make a difference in the cookies. Thanks! Noooo! Never margarine, always butter. Margarine is a chemically made substitution for real butter! Horrible for your body.